Every woman has at least one part of her body that she doesn’t like. Some women try multiple diets and workout programs in an effort to make significant changes in their bodies, and quite often, they don’t get the results they’re looking for. This is exactly what happened to one woman who was recently featured in Elle Magazine. Cristina led a very active lifestyle that included triathlons, bike rides and marathons. Over time, she noticed that her body seemed to be getting in better shape, but her thighs were only getting bigger instead of slimming down. She resolved to do something about it. Cristina heard about CoolSculpting and decided to give it a try.  As an FDA-approved fat reduction procedure, CoolSculpting promised that she would see a substantial reduction in the fat in her thighs within a few months’ time. Unlike other fat reduction procedures, CoolSculpting doesn’t have any horrific side effects. In fact, during one of her fat freezing sessions, Cristina even remarked that she took a nap. Each area she had treated took about one hour, and the only discomfort she felt was at the end when her thighs were returning to room temperature, and even that was only temporary. Cristina reported feeling absolutely thrilled with her results, and she couldn’t wait to wear some summer clothes she hadn’t worn in a long time. CoolSculpting can work for you too! Contact us today! Sensational Skin offers some of the most advanced skin treatment and anti-aging and rejuvenation treatments available anywhere. Having the most sought after Non-surgical options for treatment is an integral component of what Dr. Kent Brown offers his patients. Your info is safe! We’ll only send what you ask for.